Requirement: Delete Attachment from SharePoint Online List Item. How to Delete Attachments from List Items in SharePoint Online? 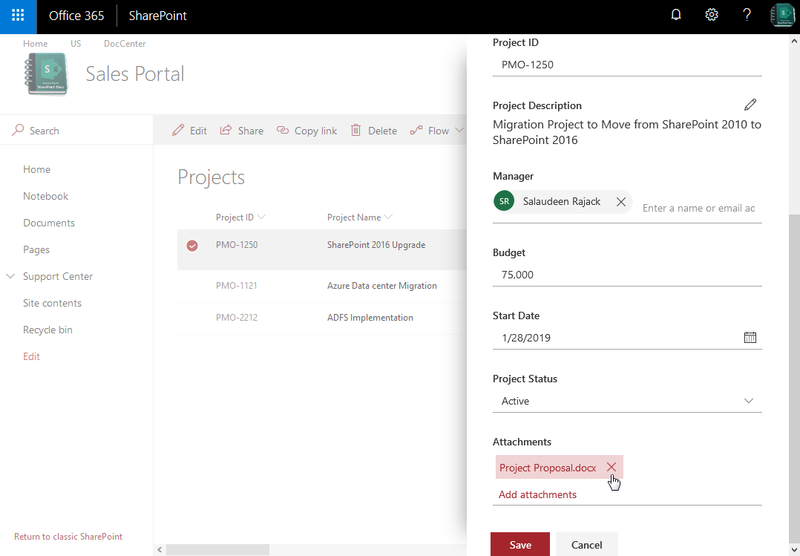 Navigate to the SharePoint Online List >> Select the List Item >> Click on Edit from tool pane. In Edit panel, scroll down to the bottom and click on little x Icon next to any attachment to delete it from the list item. Click on Save to commit your changes. write-host  -f Green "Attachment File '$AttachmentFileName' Removed from List Item!" write-host -f Yellow "Attachment File '$AttachmentFileName' Doesn't Exist!" $ListItemTitle = "SharePoint 2016 Upgrade"
$Query = "<View><Query><Where><Eq><FieldRef Name='Title'/><Value Type='Text'>$ListItemTitle</Value></Eq></Where></Query></View>"